Feeling the non-football season blues? You’re not alone, NFL fans. Following the free agency period and the 2017 NFL Draft, we’ve officially entered the quietest parts of the NFL’s offseason. As team’s set their sights on Super Bowl LII in Minneapolis, here’s a quick look at the offseason schedule on the road to kickoff. Owners and league executives are expected to vote on various changes to the league’s rules, including rules that are said to affect rosters and shortening the overtime period in regular season games. Players who have been designated with their teams’ franchise tags are no longer able to sign multi-year extensions following the July 15 deadline. After the deadline, players are only able to sign one-year Franchise tenders with their respective teams. Teams league-wide are being permitted to open training camps early for rookies and first-year players for the 2017 offseason, available a full seven days before the team’s earliest mandatory training camp reporting date for veterans. The season begins with teams taking their first steps towards Super Bowl LII in Minneapolis, opening training camps at various dates. This year being played on Thursday night, the Dallas Cowboys and Arizona Cardinals will square off in the first official football game of the NFL’s preseason, played at the NFL Hall of Fame in Canton, Ohio. The 2017 NFL Hall of Fame inductees will be enshrined forever in Canton, Ohio. 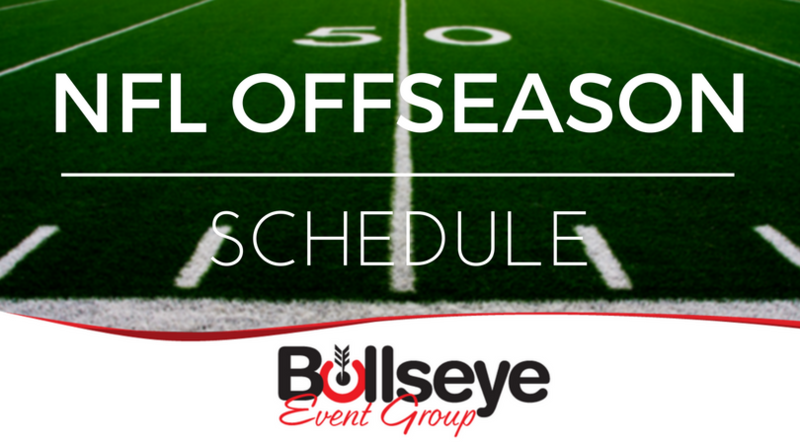 The Super Bowl LI champion New England Patriots will kick off the brand new 2017 NFL season against the Kansas City Chiefs at home on Thursday, September 7 at 8:30 p.m. ET. The team will unveil their Super Bowl banner and forge a new path, seeking their sixth Super Bowl title. Tickets for the 2017 Indianapolis Colts VIP Tailgates are officially available! With a new general manager and a re-shaped roster, the Colts look to start anew after their disappointing 2016 campaign. Get your 2017 Colts VIP Tailgate tickets today!